acceptable use – Media! Tech! Parenting! Mid-morning coffee with an iPad. With so much conversation about screen time for kids of all ages, it’s also useful to think and talk about adults’ screen time. Adults model, but not always well, screen time habits for the young people in their families. When asked, most 21st Century children can share all sorts of stories about how much time their parents spend on their devices, even at inappropriate or inopportune times. In his New York Magazine article, I Used to Be a Human Being, writer and contemporary thinker Andrew Sullivan contemplates the overwhelming “full immersion” that he and many adults experience with the online world. It was so much easier when we shared in photo albums! I’ve often written about sharenting — defined as digital age parents sharing their 21st Century kids’ photos, stories, and information via Facebook, blogs, and other public online social media. If you are mulling over the sharenting topic and want more guidance and perspective, take a few minutes to read a just-published article over at Sonya Livingstone’s Parenting for a Digital Future blog. The article, written by Alicia Blum-Ross, Where and When Does a Parent’s Right to Share End Online?, discusses the ways that bloggers who are also parents think about sharing information online and the “digital dilemma” that they experience. Blum-Ross also explores how these parents consider the future that their children will experience while growing up and examining the digital information about themselves. As I’ve thought almost continuously about the nine individuals murdered at Mother Emanuel AME Church in Charleston, South Carolina, I’ve also spent time considering how a young person grows into a hateful individual. All children begin life as accepting young beings, but at any age, once exposed to hateful attitudes or violent behavior, attitudes can change dramatically. I’ve read every article I can find that offers guidance to adults about interpreting horrific events and addressing topics that feel uncomfortable, most recently We Need to Deal With Our Discomfort and Talk to Our Kids About Racism by writer Meghan Leahy in the Washington Post. 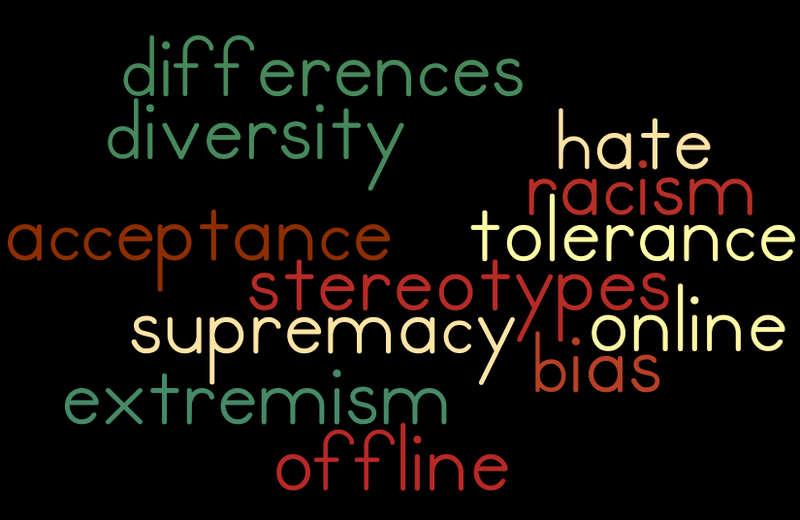 Interestingly, few of the materials that I’ve read address the issue of online hate, the ease with which users, including kids, can access it, and the need for adults — parents and educators — to ensure that 21s Century children possess the evaluative skills to recognize and thus inoculate themselves from hate material when it pops up on their screens. For parents conversations about race, privilege, extremism, and hate can create a considerable amount of discomfort.